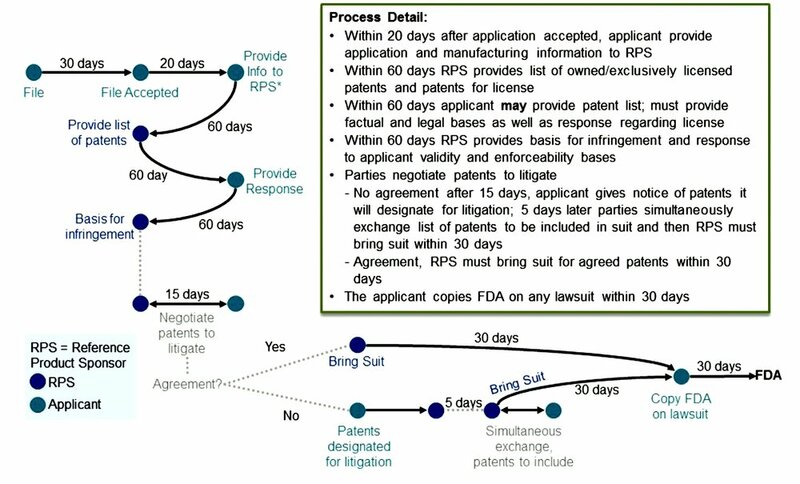 While a generic drug applicant needs to provide declaration of any IP pertaining to their filing, the 351k submitter is not required any regulatory submission; in return, the 351k submitter provides full disclosure of filing to the originator to examine if any IP is infringed--a complex patent dance starts leading to a binding agreement on which patents to litigate that includes process patents. However, the courts have recently ruled and many biosimilar developers have decided not to share the regulatory dossier with the originator, leaving a wide door open to originator to litigate any time. Given that biosimilars challenge multibillion dollar franchises, it is clearly understood why the originators have created high firewalls around their products. These firewalls include claims for indication, dosage formulation, drug concentration, upstream and downstream specific process conditions, packaging and drug delivery devices, all creating a wide net for the originators to keep biosimilars out of the market as long as possible. A freedom-to-operate dossier is routinely developed by all applicants for generic and biosimilar drugs; however, the biosimilar landscape creates a complex and often difficult choice, what to include in the consideration of selection of the IP. For generic chemical drugs, the choice is simpler but when process patents are also included, the biosimilar FTO requires much larger analysis that requires high expertise and experience. PharmSci and Einfolge have partnered to create one of the most powerful analysis group to create FTOs for biosimilars, bioprocessing, biotechnology, drug discovery, dosage delivery and many other fields. Our portfolio of ready to use FTOs include all top selling biologics, the FTOs that are kept current continuously. We have in-depth understanding of bioprocessing, and capable of reviewing your process and advise any IP risks, on a confidential basis. We are affordable! Please connect.